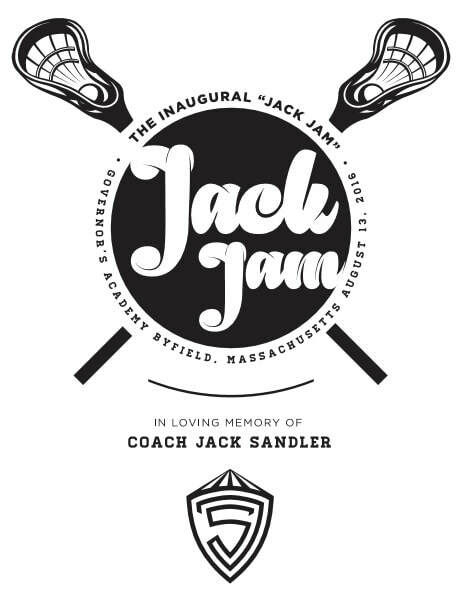 Jack Jam is an annual Summer jamboree featuring great lacrosse tournament action, outstanding live music, and world class barbecue; all in celebration of Jack Sandler's life and legacy! 100% of the proceeds raised by this event benefit The Jack Sandler Leadership Foundation! Time: Men's Lacrosse Tournament starts at 11:00 AM and goes until 5:00 PM, with BBQ to follow (registration begins at 10:00 AM). 2019 Registration Open! 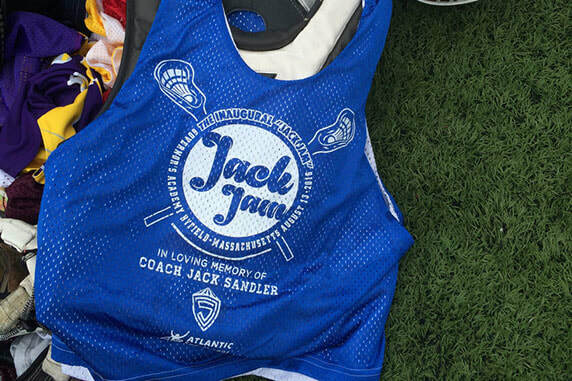 Ensure early registration and roster details to secure a Jack Jam team shirt for each player from Atlantic Sportswear. Each team will play at least 3 games followed by playoffs and finals. Games will be played on Turf and grass fields with certified officials. Beer/cocktails (21+), BBQ and band will begin at 5:00pm. Facilities will be available to shower and change. If you have questions about this exciting event please contact: suzannaandrew@yahoo.com. Jack Sandler was dedicated to growing the sport of lacrosse his entire life. In his time as a coach, he recruited a diverse range of lacrosse players. Jack believed all young athletes deserved an opportunity for athletic and educational excellence. If a player had lost the love of the game, they'd find it under Jack's tutelage. If they struggled to reach their potential on or off the field, Jack was there to motivate them. He humbly focused on being a well-rounded person, recognizing his strengths and seeking out opportunities to let them grow and shine. Best of all, Jack was a leader. He led his teammates, players, friends, family, and even brief acquaintances. He inspired them to try harder, learn more, and shoot for the stars. ​Read the Inside Lacrosse article about Jack Jam here!